Do you easily get your prospect’s trust? A great salesperson’s goal when doing lead generation is to get interested prospects and eventually close a sale. In order to do this successfully, sales reps must gain the trust of their prospects. Prospects can sense it when you called and all you can think of is your paycheck. Being authoritative doesn’t mean being arrogant. Speaking with authority means speaking with confidence and being able to communicate honestly and direct to the point. Being able to express his feelings clearly. Telling and showing prospects of their needs without threatening them. Handles prospects in a professional manner. Listens and knows how to wait when to speak. Prospects don’t like telemarketers because they think they’re fraud. Prospects are interested in speaking with a person or a company with established credibility. Someone who can take care of their needs and not just anyone whose purpose is to waste their time selling unnecessary things. Be punctual. It matters! It implies that you care. When you listen to your prospects, you will learn to read between the lines to look for possible opportunities and decipher the different buying signals of your prospects. Prospect: I’m not available right now. I’m in the middle of something. Agent: No problem. I understand. When is the best time for me to callback? Time is gold! You’re gaining your prospect’s trust the moment you show value in his time. Plus, they are more likely to listen and remember you the next time you called. When a prospect asked you to send an email first and get back with him 2 days after doesn’t mean he’s no longer interested with what you’re offering. If you believe in your product or service, you’ll see this as a positive response. Respecting a person’s view means you’re giving him a chance to read and know your product more before having a deeper conversation about it. Plus, it gives you time to prepare for possible questions on your second call. Related: The Best Way to Reach Out to Prospects: Sales Email or Sales Call? Watch our SMART CALLING video and learn how to reach the right prospect at the right time. Enjoy! SMART Calling (Sales & Marketing At The Right Time) from Callbox on Vimeo. Agent: When can I call you back? Prospect: Call me back on Monday at 2PM. Agent: Sure. Talk to you then. When you agreed to call a prospect, call back on the scheduled date and time. Most of the time, sales reps are excited to speak with their prospects ended up calling them earlier than the scheduled appointment. Others tend to forget to follow up. Showing commitment means you care and you respect your prospect’s time. It shows professionalism and implies that you mean business. Be honest! Trying to be someone you’re not might lose your credibility as well as your chance to close the sale. When your product or your company doesn’t have what they’re looking for, be honest about it. If you don’t have the answer to your prospect’s question, here are some tips and tricks you can check into. Instead, tell them you’ll get back to them with an answer. Prospect: How much does it cost? Agent: I don’t have that information with me right now. What I can do is take of it and send it to you through email, would that work for you? Gaining prospect’s trust is essential in B2B lead generation. It may be difficult to some reps but take note of the tips mentioned above when making calls to help you gain your prospect’s trust and increase your chances of closing a sale. 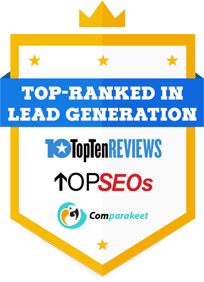 Build trust and Generate More Leads in Australia!